Sparksey4869 Model Trains: S is for sleepers? "I don't model that era but I got it cheap!" 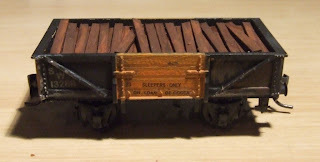 So when I came across some pictures of S trucks used in sleeper traffic I remembered my hidden treasures and found good use for them which brings them into my era. Better still they are way and works, which interests me due to individuality. I cut a piece of balsa wood to shape of the the inside of the wagon. 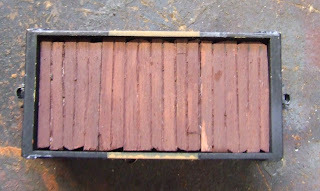 I scribed the sleeper width and put in notches to make it look as though the sleepers had not been cut to square. 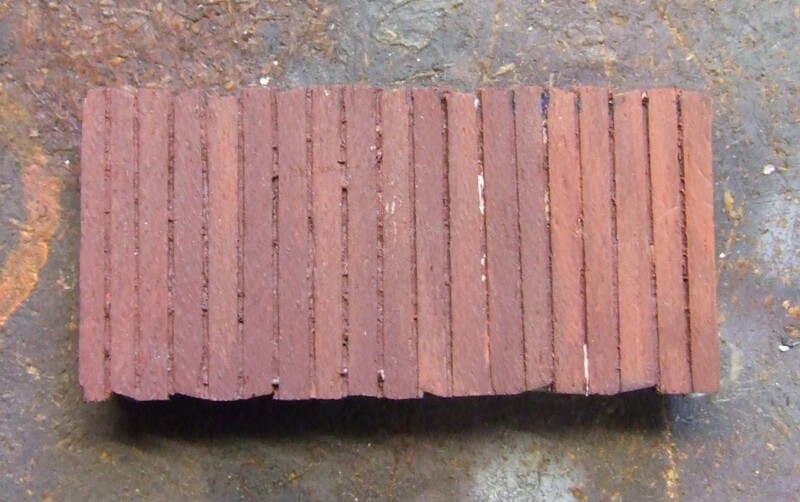 I painted it brown and dry brushed it with a deep orange colour to give the impression of the clean grain from cutting and that they had weathered a lot from the time they were sawn to the day of pick up. 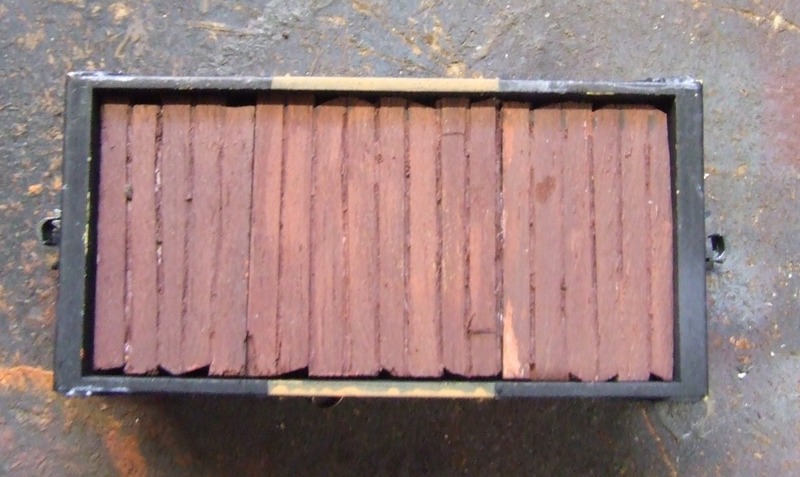 Individual sleepers were then cut from scale lumber. 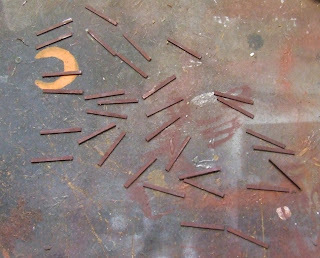 They will be applied to the top of the balsa pile. Again painted in the same manner as the balsa. 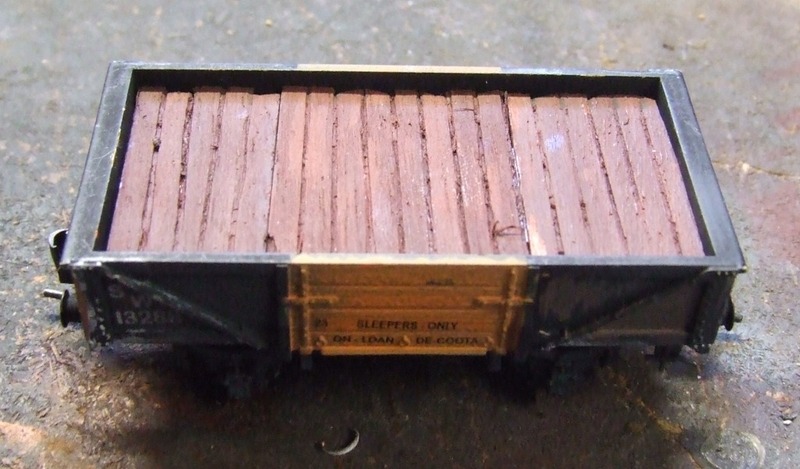 The Balsa load installed in the wagon. It isn't glued in so it can be removed if needed. 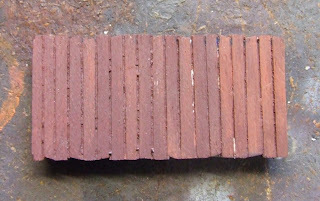 SW 13288 with the individual sleepers glued in with white glue. After gluing them in I gave them a little extra streaking for appearance. WS 1440 with it's sleepers fully loaded. So which is correct WS or SW? Perhaps the decal applier was dyslexic? Oh yes almost forgot, I did paint the wagon and had the decals made by a mate form the pictures found. The two wagons "hooked up". 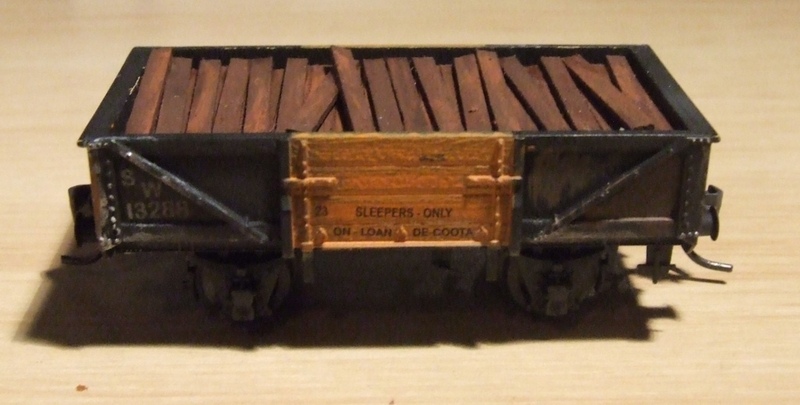 I tried to make the top row of sleepers look as though they had dislodged or moved during transport. Then again it might have been 350pm on Friday afternoon. Nice work indeed Ben. 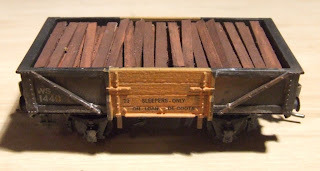 The S trucks reserved for sleeper traffic were not coded 'SW' or 'WS', they were plain 'W' (for Ways and Works Dept). All vehicles used in Ways and Works were coded 'W' (not just the S trucks), just as all vehicles used in Loco service were coded 'L' (ash trucks, water gins etc). The Ways and Works vehicles, as well as the loco vehicles, were numbered on a separate ledger to the 'Traffic' vehicles and they were not normally used for ordinary traffic, only by the Dept. that owned them. There was no vehicle coded SW, while a WS was a variation on the steel S truck that had been altered for the conveyance of wheat. The WS code became obsolete just after WW2 when sufficient bulk wheat wagons, such as RU and BWH vehicles, became available. S trucks in W&W service in your period would be coded 'W'. Thanks for the info James as it can be had to gather sometimes, and now I will remove the buffers as they can hinder on some corners and I prefer them without buffers anyhow. 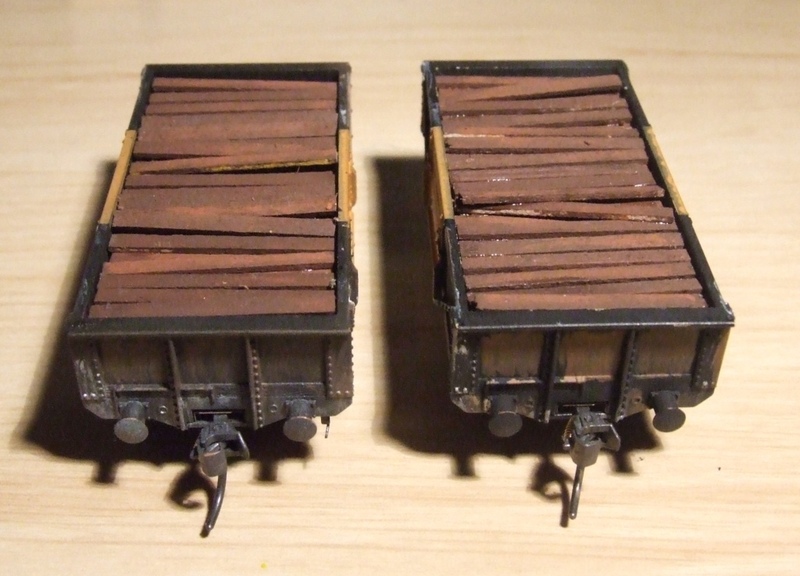 So the pictures of the wagons I found which do show the WS and SW quite clearly were lazily recoded with a W but didn't have the S removed or painted over. That to me is the beauty of this hobby, there are no incorrect models out there as anything happened on the real deal. I suspect that the 'WS' and 'SW' codes you saw are more likely to be the underlying 'S' coming through the fading paintwork. Maintenance of W&W vehicles during the '80s was not high on the list of priorities! I'd like to see the photos though!